Notre Dame Stadium in Indiana is the home of the University of Notre Dame Fighting Irish Football Team and boasts a capacity of 77,622 fans on a typical game day. To insure everything runs smoothly during a game, there are over 800 ushers assisting and protecting the patrons. Heightening security awareness along with payroll changes due to the Affordable Healthcare Act caused the University to review and upgrade how they were managing labor on game days. Traditionally, it was common for stadium ushers to be paid a lump sum amount per event, tracked on a spreadsheet and often paid out occasionally throughout the season. One of the ripple effects of the Affordable Healthcare Act was the University was required to start tracking the hours the ushers worked, rather than just pay a lump sum. Upon review, it became quickly obvious to track and pay ushers in a university payroll cycle would be nearly impossible without automating the process. However, tracking labor hours was not the only factor that required upgraded monitoring and processing. Previously, ushers required little more than their uniform to gain access to the stadium. Increased security measures and a better employee validation method were also needed. Notre Dame turned to long time vendor Tracy, Inc. to integrate their UltraTime Enterprise time and attendance and event labor management software with the Grosvenor Technology IT-51 color touchscreen time clocks. The result was increased accuracy and a streamlined check-in security process that helped reduce the amount of time tracking staff hours. Employees are now onboarded and pre-screened ahead of the season and permission to enter the stadium is granted or denied in a matter of seconds. With a swipe of the employee’s ID credential, the IT-51 terminal performs an on-line lookup to the UltraTime database and displays the Accept or Denied message on the brightly colored 10” graphic display. 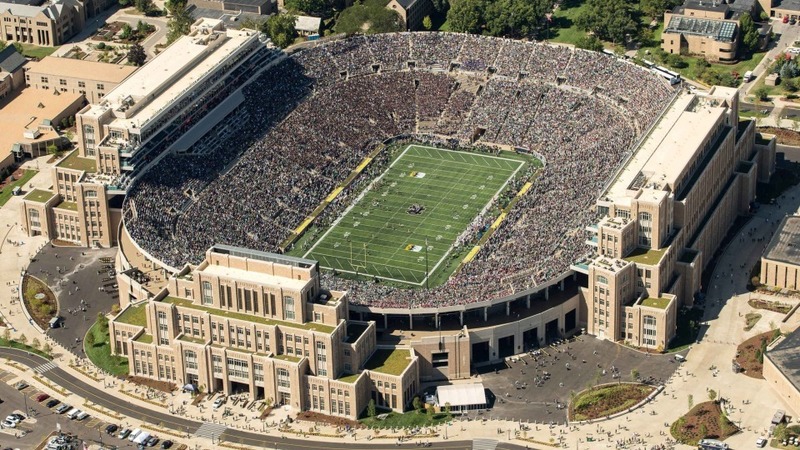 Notre Dame relies upon the robust UltraTime Enterprise database and rugged IT-51 touchscreen terminal to highlight security risks to supervisors as employees swipe in on shift, helping to safeguard 80,000 football fans, staff and vendors on game day. Curtis Gano, President - Tracy Inc.